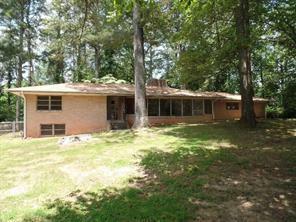 Fulton County GA Contemporary Homes for Sale. Search Atlanta GA listings for contemporary style homes for sale. In the Atlanta GA area we have a good selection of contemporary homes for sale such as California contemporary homes, European style, and cedar contemporary homes that are built and surrounded by mature trees and foliage. Contemporary homes tend to have a better and more open floor plan that is very sought after these days by those that reject the cookie cutter mass produced homes. As a rule contemporary homes offer more square footage for the dollar cost per square foot than traditional homes. For more information about buying or selling a contemporary style home in Atlanta GA, Sandy Springs or Fulton County in suburban North Metro Atlanta or northern Georgia – please feel feel to contact us. It will be our pleasure to assist you. 1) 1165 Graymont, Atlanta, GA 30310, Fulton Co.
2) 130 26th St, Atlanta, GA 30309-4803, Fulton Co.
3) 2870 Pharr Ct S, Atlanta, GA 30305-2182, Fulton Co.
4) 420 Larchmont Drive Nw, Atlanta, GA 30318, Fulton Co.
5) 4983 Wolfcreek Vw, Atlanta, GA 30349-3954, Fulton Co.
6) 1515 Huntingdon Chase, Atlanta, GA 30350, Fulton Co.
7) 6105 Cedar Wood Dr, Atlanta, GA 30349, Fulton Co.
8) 1275 Graymont, Atlanta, GA 30310, Fulton Co.
9) 3561 Devon Chase, Atlanta, GA 30349, Fulton Co.
10) 620 Peachtree St, Atlanta, GA 30308-2367, Fulton Co.